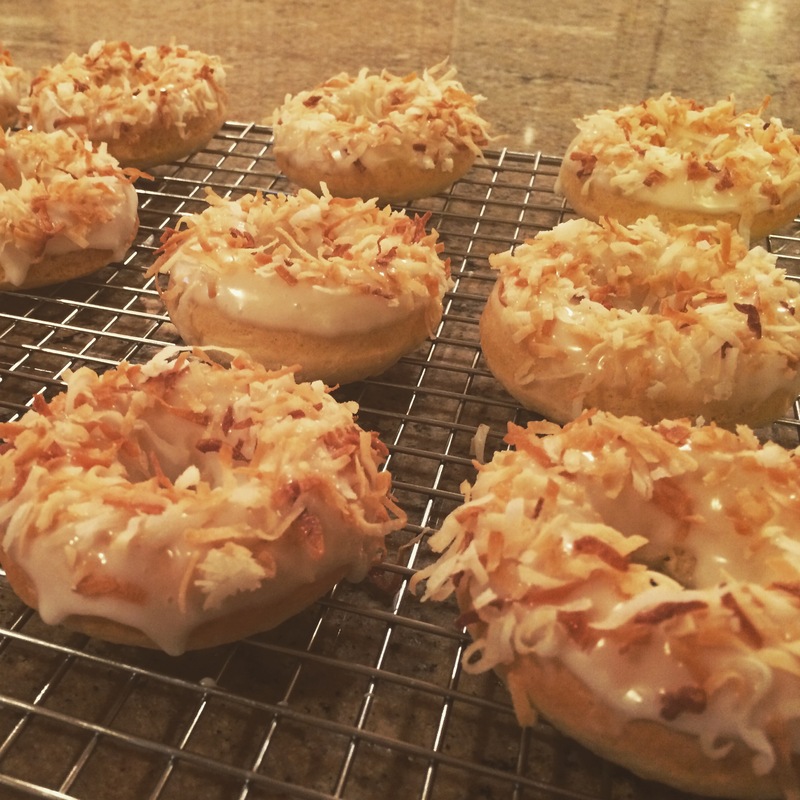 Triple Coconut: White coconut cake dipped in a lime and coconut milk glaze and covered with toasted coconut. 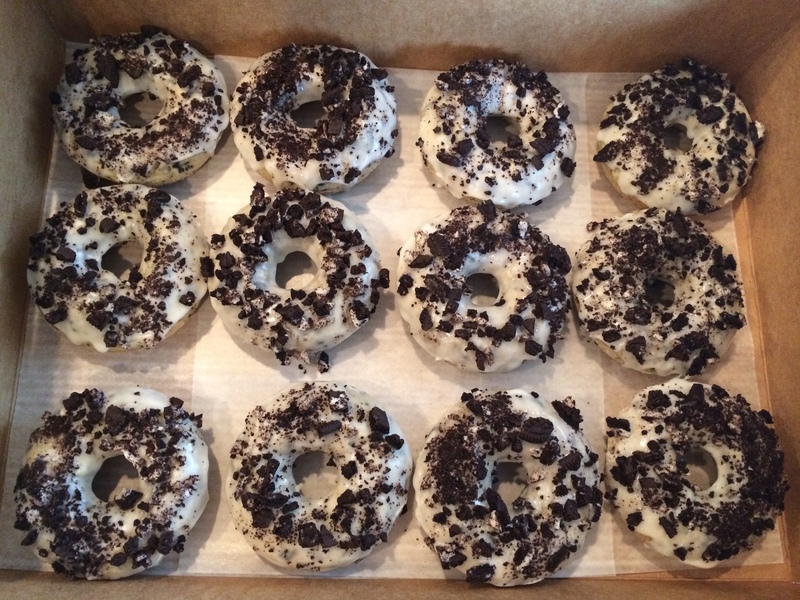 Oreo: An Oreo infused cake dipped in a sweet white chocolate glaze and covered in crushed Oreos. 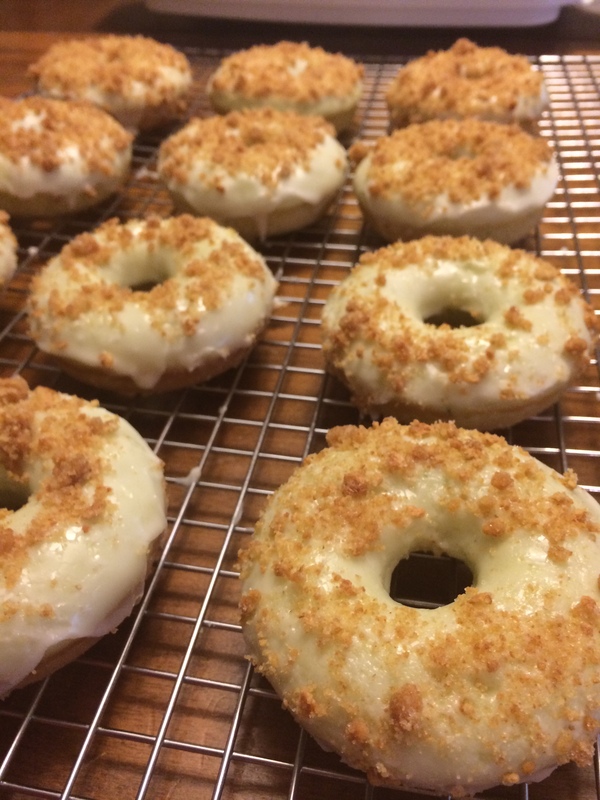 Key Lime Pie: A key lime infused doughnut, dipped in a key lime glaze and sprinkled with crushed graham crackers. 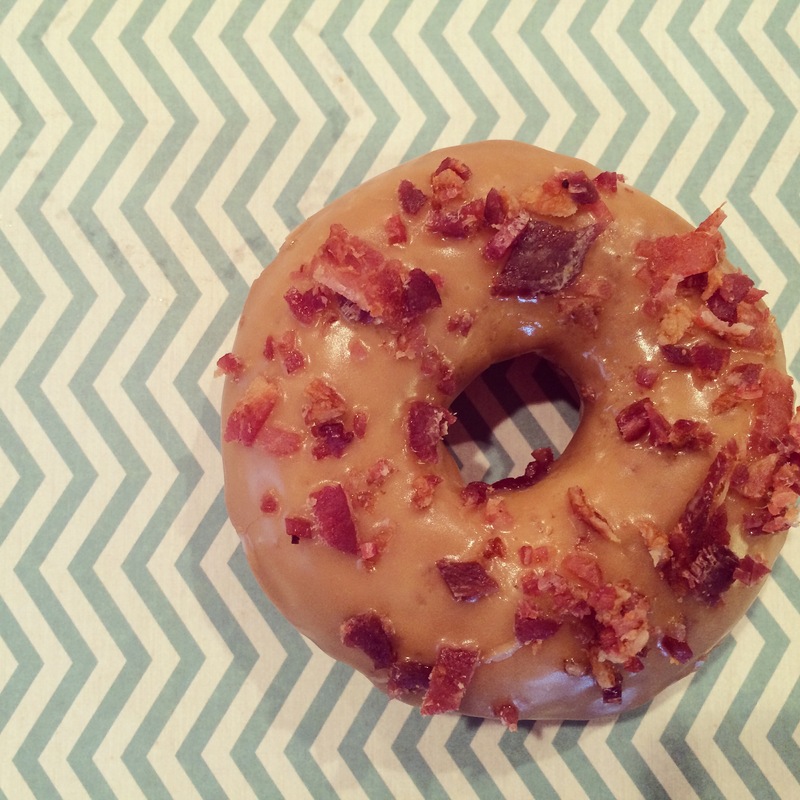 Maple Bacon: A cinnamon infused white cake, dipped in a maple glaze and covered in bits of bacon. Lemon Poppyseed: A white cake infused with lemon zest and poppyseeds coated in a lemon glaze. 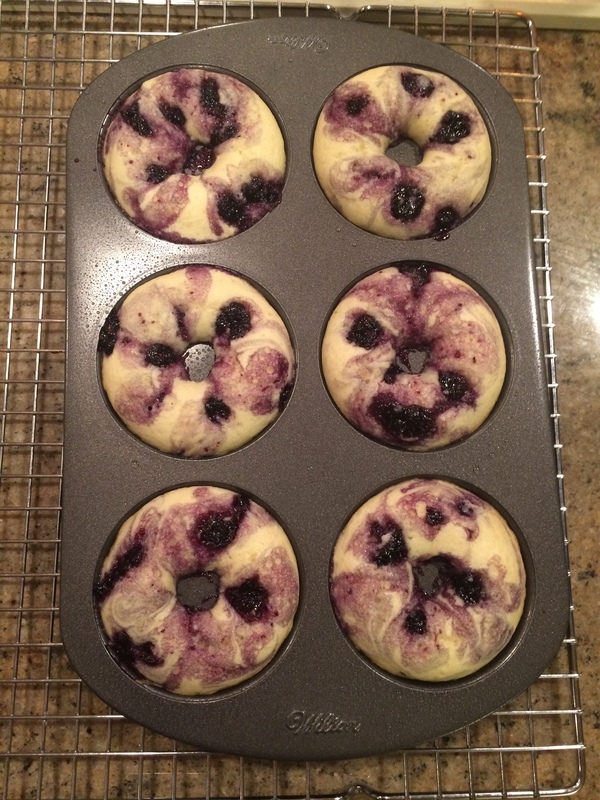 Blueberry Lemon: A white cake swirled with blueberries and topped with a lemon glaze. 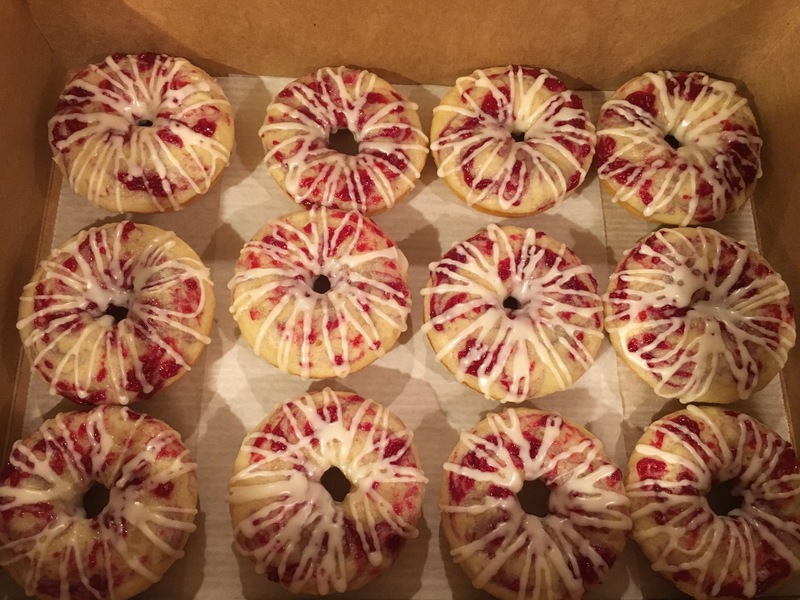 Raspberry Vanilla or Lemon: A white cake swirled with homemade raspberry preserves and topped with a lemon or vanilla glaze. Chocolate Orange: A orange infused chocolate cake with a orange flavored chocolate ganache and topped with chocolate sprinkles. Mint Chocolate: A green mint cake with a chocolate mint ganache top and then sprinkled with crushed andes mints. 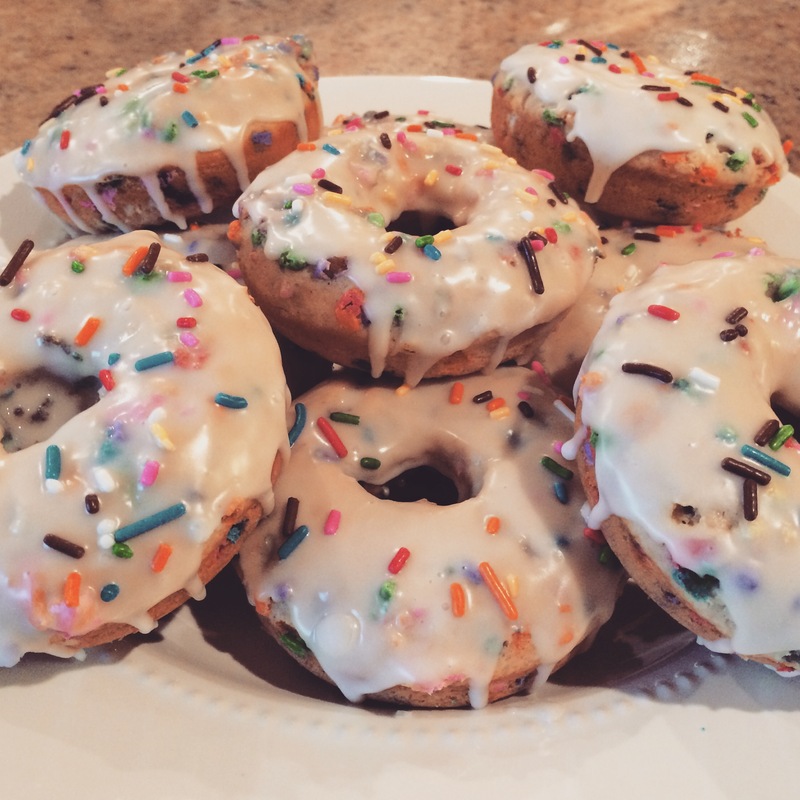 Peanut butter Banana: A yummy banana doughnut drizzled with peanut butter!